As one of the most qualified emergency dentists Melbourne has to offer our job is to ease your problem and ensure you’re no longer suffering so that you can go back to living pain free. We understand that if you have a toothache, gum pain, you lose a filling or crown, you have an abscess or break a tooth you will require immediate attention. For this reason the majority of emergency dental treatments we deal with require temporary measures to offer pain relief until you can be scheduled for a more permanent solution. Our dental clinic in Mount Waverley has emergency dental appointments available on request. If you have a dental emergency that requires immediate attention, call us now! X-rays are essential in getting to the root of the problem and discerning what is causing your pain if you have gum pain or a toothache. An x-ray will ascertain whether you have an abscess, a cavity, an impacted wisdom tooth or another problem. Once diagnosed, we can advise the best course of action. The pain associated with oral problems can be overpowering which is where a prescription for effective medication comes in. This is a welcomed solution especially if your issue can’t be addressed straight away; you might need to wait for the next available appointment or, if you have an abscess, the infection will need to be treated before further action can be taken. No one likes the thought of having a tooth pulled but if you’re experiencing pain caused by a severely decayed tooth this is the best way of dealing with it. Decaying teeth can expose nerves; which is what causes your pain. 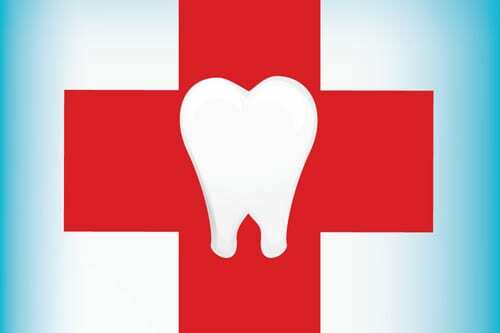 The dentist will numb the area surrounding the tooth with a local anaesthetic and then remove it. You may also need a couple of stitches in the tooth cavity. You will also need to replace the missing tooth with an implant, bridge or denture. Not only will this make you look and feel better but it will stop the rest of your teeth from altering position. A temporary filling is a stop gap measure that offers pain relief from cavities in teeth that are only slightly decayed. Again it’s the exposed nerve that’s causing you those stabs of pain but once the dentist has covered it with a resin or cement filling your pain should disappear. It is advisable to make an appointment to have the temporary filling replaced with a permanent one in the near future. Crowns and bridges can sometimes become loose which can not only be painful but can cause damage to the crown or bridge and to other teeth. To deal with this your dentist will reattach it by re-cementing it. A follow up appointment will be necessary so that we can check that the procedure has permanently dealt with the problem. An abscessed tooth can cause immense pain but there are a number of ways to effectively deal with it. Some abscesses need to be drained via a small incision made in the swollen gum whilst others will first need the dead tissue around the cavity to be removed. Once this has been done the abscess can be drained and the cavity temporarily sealed. You will need to visit your dentist again so he or she can complete the root canal treatment procedure and check whether you need further treatment. You can contact the Royal Dental Hospital Emergency Department on 1300 360 054 or for emergency dental in Melbourne get in touch with us here at Dentist@330. Here at Dentist@330 we always do our very best to schedule the earliest appointment possible for you if you require urgent attention. Call our friendly staff at (03) 9886 5318 to book your appointment today! We offer a complete service covering general, family dentistry and cosmetic dentistry – all at fees that won’t wipe that gleaming new smile off your face. So contact our dentists in Mount Waverley today! We service Melbourne especially Mount Waverley and surrounding suburbs which include but not limited to: Glen Waverley, Burwood, Burwood East, Chadstone, Oakleigh East, Clayton, Ashwood, and Notting Hill.